Summer is finally here! The temperature is going up, which can make it harder to cool down–for you or your yard. 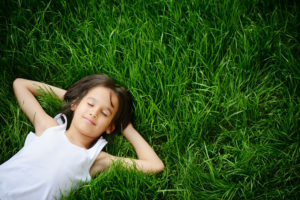 You want your yard to be at it’s best, so you can continue to reap the benefits, so here are some simple tips you can implement this summer to keep your yard healthy while the heat is on. Plant power: Not all plants are created equal. Some trees and shrubs are better at navigating the hot, dry months of summer than others. We can help you get set up with drought-resistant plants that are better equipped to handle Georgia summers. Maintain upkeep: Pruning is necessary for plants to grow their strongest. Getting rid of the old branches to help the plant focus on growing new, healthy limbs is an essential part of landscape maintenance, no matter what season it is. Check the soil: Healthy soil is necessary for healthy plants. Avoid potential problems by making sure you are using the right soil for your plants. With the right soil, trees and shrubs are protected against disease, pests, and other stressors. Water well: All plants are unique, and they all need water to survive. Making sure they have enough water (but not too much) is crucial to plant care. Here are some tips for watering trees and shrubs to help them flourish. Patrol for pests: Plant pests can be a pain! Be on the lookout for any unusual signs of pest activity on your trees and shrubs so you can prevent any issues before they happen. At Alternative Environments, we are committed to making the customer happy by keeping your yard in it’s best health. Request an estimate today and see how Alternate Environments can support you and your lawn this summer.